To add a question to your survey, click on the Add Question link that appears at the beginning of each page or before and after existing questions. A popup box will appear asking you to select the question type that you would like to add. 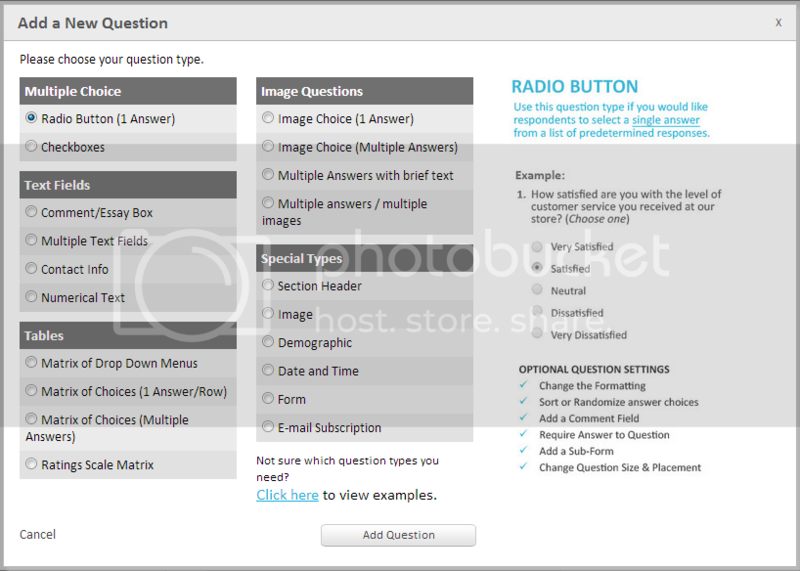 When you click on each question type, a sample of what your question might look like will be displayed on the right. The survey questions are divided 5 categories.